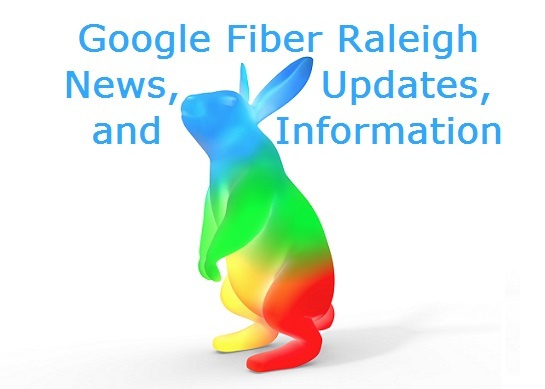 This page has the latest Google Fiber news and information for Raleigh and RDU including Chapel Hill, Cary, and Durham. Fast, affordable Internet & TV. Internet: Google Fiber offers Gigabit Internet that is around 200X faster than most of today’s current “high speed” offerings from companies such as Time Warner. Even on a high speed connection what takes 9 minutes may be slashed to as little as 3 seconds. Television: Google Fiber offers crystal clear HDTV, an awesome DVR tat can record 8 shows at once and literally smokes DVRs from other companies, apps for remotes, and much more. January 27, 2015: Google announced Google Fiber is coming to Raleigh-Durham. January 26, 2015: We announced here on our North Carolina Gigabit Fiber resource that Google Fiber is almost definitely coming to Raleigh, Durham and Chapel Hill area. June 10, 2014: Google beings hiring community impact managers for Google Fiber for RDU & Charlotte. February 19, 2014: Google announced that they are looking at several new cities to expand into with Google Fiber. In North Carolina, the cities were Charlotte, and then the triangle/RDU/central area of the state. Raleigh, Durham, Carrborro, Cary, Chapel Hill, Garner, and Morrisville, make up metro areas named by Google as potential locations for a Google Fiber high-speed internet expansion. How much is Google Fiber? In Raleigh-Durham / RDU the channel list is going to be quite extensive. Will North Carolina get Google Fiber? – This page lists the history of Google Fiber and other Gigabit networks coming to North Carolina. Google Fiber Raleigh – Official Page by Google.